After years of teasing and promises, the ultra-high-definition future of video is finally starting to become reality on television sets—but PC enthusiasts who invest in 4K-capable hardware still get the short end of the stick because Hollywood studios refuse to allow 4K video streams for PCs due to piracy fears. But there’s light among the dark clouds, home theater PC lovers: Microsoft announced today that Windows 10 now supports 4K Netflix streams, just in time for the new Gilmore Girls reboot. 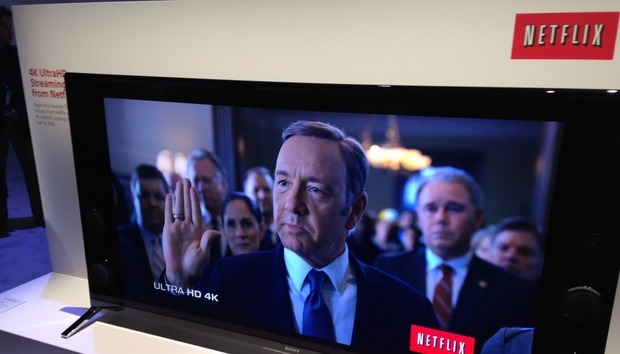 You’ll need a very specific PC configuration in order to bask in Netflix’s 4K glory. First of all, those ultra HD streams work in Microsoft’s Edge browser, and only Microsoft’s Edge browser. That’s no surprise; earlier this year, PCWorld reported Edge’s advantage as the only browser capable of displaying 1080p Netflix streams, thanks to its support for Windows 10’s PlayReady Content Protection DRM and Protected Media Path. If the idea of using Edge makes you wrinkle your nose, the hardware needed to run Netflix’s 4K video might just kill the dream anyway. Not only do you need a PC with a 4K display—duh—but you’ll also need one of Intel’s spiffy new Kaby Lake processors, which are only just starting to trickle out in laptops. Desktop Kaby Lake chips aren’t expected until sometime in 2017. The impact on you at home: Probably none. While it’s nice to see support for 4K videos emerge on PCs, the need for pricey, cutting-edge hardware and a browser that’s subpar in every other way will likely limit Windows 10’s 4K Netflix support to the proverbial “one percent” of computer users for the foreseeable future. Most people will be better off buying a Chromecast Ultra, Amazon Fire TV, or Roku Premiere+ box instead.